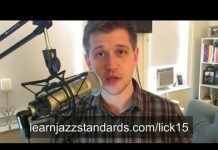 Learn Jazz Standards.com focuses on helping jazz musicians expand their repertoire. Jazz musicians are required to know jazz standards for working gigs and playing at jam sessions. However, it’s also very important to practice soloing over chord progressions, such as the ii-V-I-VI7 progression. 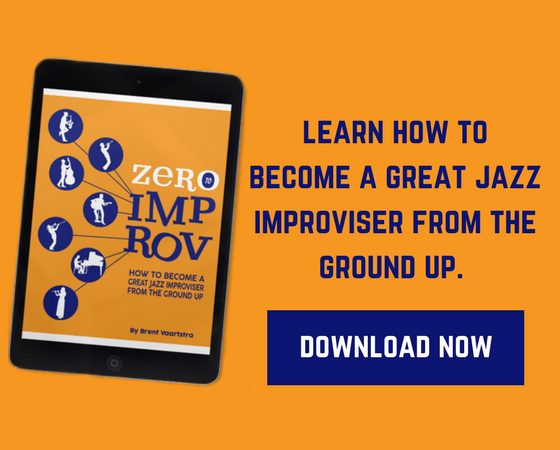 This progression will show up time and time again in many tunes, and so practicing improvising over these changes will pay HUGE dividends when you approach the standards. 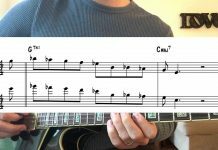 Some of our readers are more experienced jazz musicians and will appreciate having this chord progression study as a resource for learning new licks and honing their skills. Other readers visiting this site may be new to jazz and improvised music. 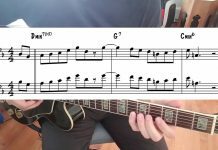 This chord progression study will be useful for everyone from the beginning improviser to the professional. Music is a language. To understand it we have to listen to it, read it, talk with others that speak it and be willing to take the risk of speaking it ourselves. Like everything we want to learn in life we have to have a starting point. 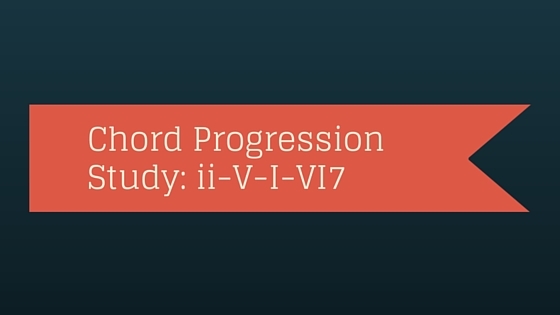 In this Chord Progression Study we are studying a progression that is very common in jazz standards and other popular music: the ii V I. But we will add to this the dominant altered VI7 chord which often serves as a “leading” chord or “turn-around” chord into the ii. So now we are dealing with a ii V I VI7 chord progression. Example: Dm7 G7 Cmaj7 A7alt is a ii V I VI7 in the key of C Major. There is no limit to what you can play over the ii V I VI7 progression. However it should be mentioned that Bebop is one of the fundamental languages of modern jazz. Something that most all of today’s best modern jazz musicians have in common is the understanding of the bebop language. It’s imperative to have a grasp on the bebop vocabulary so you can move on from there. Listen to lots of records that deal with this harmony. Check out records by Clifford Brown, Charlie Parker, Sonny Rollins, Art Farmer, Lester Young, Wynton Kelly, Bill Evans, Dizzy Gillespie, Jim Hall, Bud Powell and earlier John Coltrane just to name a few. Also, check out modern examples so you know how players currently on the scene approach the music. 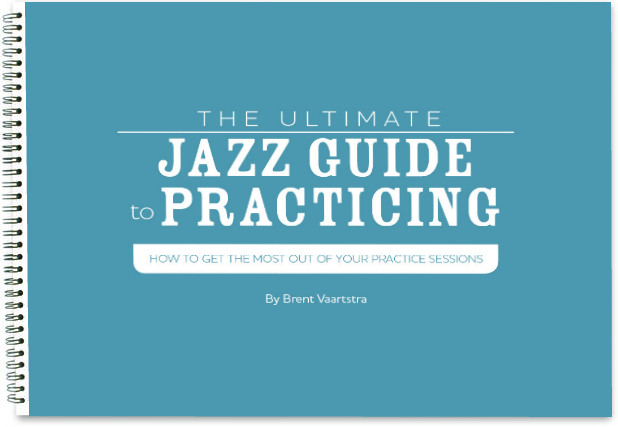 Always be listening, and always be ready if another jazz musician asks “What have you been listening to?” Never underestimate listening to music, it is a huge part of your practice. 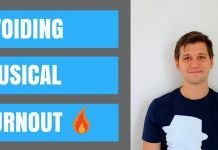 Practice the progression with the play-along’s provided below. This will give your ear the opportunity to hear what the chord progression sounds like. Practice the progression in all 12 keys as provided for you going in order of the Circle of 4ths. Learn some licks or phrases from some of your favorite players that deal with this progression and take them through all 12 keys. If you find a solo you especially enjoy, consider learning the entire thing. 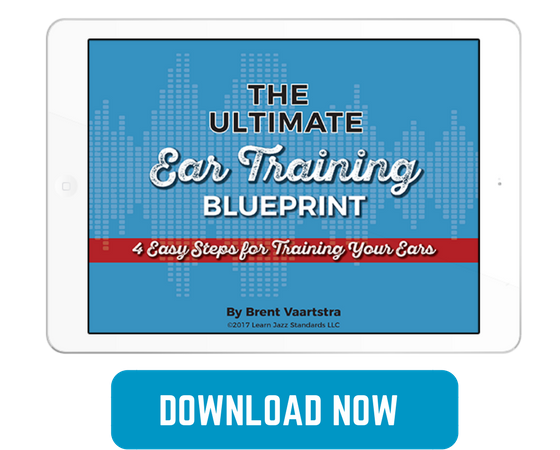 Practice the progression with only yourself and a metronome. This is very important. Never depend entirely on play-along’s to practice. The tracks provided for you on Learn Jazz Standards.com are not meant to be a crutch for practicing tunes but rather one tool through which to practice. You should be able to feel the time and hear the changes on your own. In addition to playing along with the tracks, try practicing playing the changes on your own, unaccompanied, with the metronome on beats 2 and 4. You should be able to hear the changes in your solo even WITHOUT the harmony present! Nice, help me to improve. Thank You! This is an EXCELLENT resource. Is there a way to take out the bass on the II V I playalong? I converted the youtube video to a .mp3 for convenience, but as a bass player I really can’t pratice with the bass on the recording playing…Any ideas?